Summer Dawn features two of our favorite yarns for summer, Savannah and Meadow. 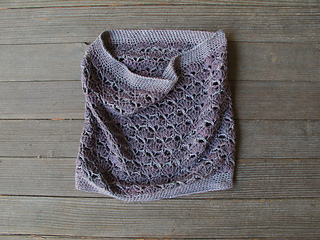 The pattern calls for a third of a skein of Meadow, making it the perfect project to share with friends! 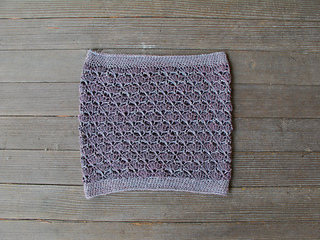 Summer Dawn is crocheted in rounds. Be sure to read instructions carefully before beginning next round. 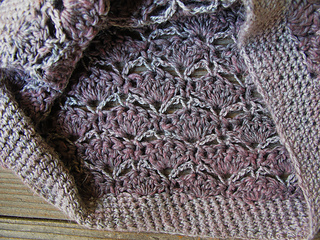 Carry yarn loosely up the inside of the cowl when changing colors. Do not cut yarn every round. YARN: The Fibre Co. Savannah (50% wool, 20% cotton, 15% linen + 15% soya; 160 yds/ 1 ball): woodsmoke (C1) + The Fibre Company Meadow (40% merino, 25% baby llama, 20% silk + 15% linen; 181 yds/ 33 gm ball): lavender (C2), 1 ball each. 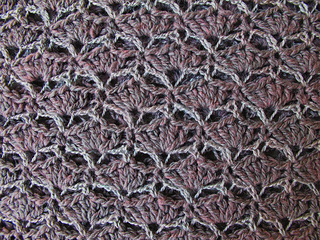 variation = 3” wide + 2” high on larger hook, after blocking. HOOK: 1 - US G (4 mm) + 1 - US H (5 mm) hook. SKILLS: basic crochet, reading crochet from charts (optional), crocheting in the round.